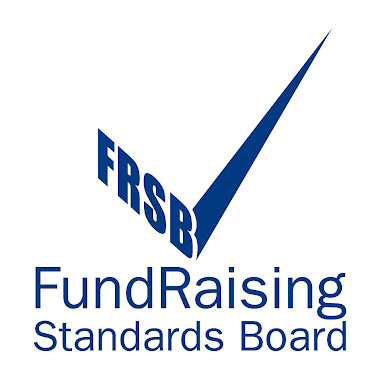 17/12/2015 Following the announcement of our joint initiative with the Small Charities Coalition, we have launched an online survey seeking views on the recommendations from the review of fundraising self-regulation which will remain open until 15 January 2016. The Foundation aims to improve the quality of life throughout the UK and takes pride in supporting work that might otherwise be considered difficult to fund. Grants are available to charities and not-for-profit organisations in the UK for projects promoting the important role food plays in wellbeing and that connects people to the food that they eat. The aim of the Food strand is to find an alternative system that produces higher quality food in ways that are better for people, the environment and livestock. Organisations should apply for the amount that they need. There is no maximum grant amount. However, the Foundation makes only a small number of grants in excess of £500,000 and it is unusual for the Foundation to give a grant of this size or larger to an organisation with which it does not already have a relationship. Applicants do not need to have matched funding in place before applying but where the total cost of the work proposed for funding is high, applicants should indicate other sources of funding or specific plans to apply elsewhere. The Foundation invites applications from charities and not-for-profit organisations in the UK. Charities do not need to be registered charities to apply, but the Foundation can only fund work that is legally charitable. An applicant charity's constitution must allow it to carry out the work proposed. Food-related work that is well supported from other sources. Work that takes place primarily in individual schools. Core work of city and demonstration farms. The routine work of farmers markets. Mainstream work of individual Allotment Associations. Therapeutic farming and horticulture projects. Community based work of entirely local impact with no prospect of wider replication. Weight loss organisations and other specialist diet groups. Work that provides a commercial advantage to individual suppliers. Work that has primarily health-related outcomes. Work that forms a better fit with the priorities of the Foundation's Main Fund. Work that does not have a direct benefit in the UK. Grants to individuals or to causes that will benefit only one person, including student grants or bursaries. Mainstream or core activities of organisations that are part of a wider network of others doing similar work (eg YMCA, MIND groups, Age UK), even if they are constituted as separate organisations. Services that are provided in similar ways in many locations such as refuges, hostels, night shelters and standard services for homeless people, contact centres, sports associations, playgroups, play schemes, out of school clubs, supplementary schools, playgroups, youth clubs, and general capacity building/ professional development. Routine work to improve employability skills such as training on CV writing, interview skills, literacy, numeracy, communication, ESOL courses and activities to increase self confidence. Routine information and advice work. Recreational activities including outward bound courses and adventure experiences. Capital costs including building work, renovations, and equipment. Energy efficiency or waste reduction schemes such as recycling or renewable energy schemes unless they have exceptional social benefits. Healthcare or related work such as medical research, complementary medicine, hospices, counselling and therapy, arts therapy, education about and treatment for drug and alcohol misuse. Work that is primarily the responsibility of central or local government, health trusts or health authorities. This includes residential, respite and day care, housing provision, individual schools, nurseries and colleges, and vocational training. To replace or subsidise statutory income, although rare exceptions will be made where the level of performance has been exceptional and where the potential impact of the work is substantial. Animal welfare, zoos, captive breeding and animal rescue centres. Retrospective funding, meaning support for work that has already taken place. Work that is not legally charitable. The Foundation is unlikely to fund research. Support is available for initiatives that raise awareness, promote and demonstrate reduced usage of harmful pesticides, herbicides, antibiotics and fossil fuels. The Fund wants to stimulate community involvement in food production and support the development of a more positive policy position as well as encouraging organisations from across the spectrum of food interests to work more closely together to address system-wide issues. Local innovation in alternative approaches - funding is available for inventive local projects that demonstrate alternative approaches to mainstream corporate food production and consumption. These exemplify viable food production methods that do less harm to the natural environment than conventional food production practices, while enhancing the lives of people and livestock. They will involve local communities and are also widely replicable if successful. They can articulate how they might help to influence policy and practice. Food and wellbeing - funding is available for exemplary and high impact work that improves people’s understanding of the role of food in their lives and the impact it can have on personal and community wellbeing. In particular the Fund seeks to influence changes in public preferences, attitudes and behaviours. This can be simple but should be on a scale that influences and drives how food is produced, transported, marketed and consumed and can influence significant numbers of people. Approaches that are engaging, participatory and educational without preaching to people are sought. Working towards a more coherent food sector - the Fund aims to foster closer links between those who can influence changes in food production, distribution and consumption, such as third sector community food groups and retailers. This will include work that links advocates of change in the food system with academics and sources of research and evidence. Support is also available for work that aims to persuade mainstream food businesses of all sizes to engage with the food sustainability agenda and to seek sustainable sources of supply. Funding is also available for organisations that have the capacity and skills to engage policy makers at national regional and local level. Applications are sought from organisations with a track record of gathering and presenting persuasive, evidence-based arguments. High quality, innovative local food projects, particularly those that can become financially sustainable and are replicable. Closer links between NGOs, community groups, producers, retailers and industry in order to create a more coherent food sector. A demonstrable improvement in people’s understanding of the place that food plays in our lives and that delivers behaviour changes. Greater demand for food that is produced more sustainably and approaches with the capacity to influence a large number of consumers. A prioritisation of sustainable food production and consumption in local and national policy, practice and decision-making. Grants are available to support organisations’ core or project costs, including staff salaries and overheads. Applicants are advised to take the online eligibility quiz. The Foundation has a two-stage application process. Applicants should first make an online first stage application to allow the Foundation to make an initial assessment and decide whether to take the application to the second stage. Applicants that are successful at this stage will be invited to make a second stage application. Grants of up to £50,000 are available to registered charities in Great Britain for projects that address fuel poverty explicitly and as the primary purpose and include the provision of energy efficiency advice. - Energy efficiency measures improving home energy efficiency through draught proofing, insulating and or other practical measures. - Income maximisation providing funding to front line charities who carry out benefits advice to households missing out on financial help that they are entitled to through welfare benefits and tax credits. - Fuel debt assistance - providing assistance, or funding the provision by other persons of assistance, to reduce or cancel debts for household electricity or gas supply, where such assistance is provided as part of a package of measures aimed at providing customers with long-term relief from fuel poverty. - Any combination of the above. The 2016 deadlines for applications are 12 January 2016 and 17 May 2016. There will be a further deadline later in the year for the meeting in November 2016. A maximum of 30 fully completed applications will be presented to the Trustees at any one meeting and applications are considered on a first come, first served basis. Any eligible and complete applications not dealt with will be carried forward to the next meeting. The Postcode Community Trust's Community Grant Scheme opens on 5 January 2016 for applications from registered charities and community groups in England, Scotland and Wales who are seeking funding for projects that advance community development. Unlike previous years, groups from across England can apply. - Support for older people relieving isolation. - Support for young carers and their families and/or support for families caring for disabled children or relatives, enabling them to engage more fully in their local area. - Projects which enhance or enable volunteering opportunities which help to regenerate communities. - Enhancing facilities which benefit a wide segment of a community. - Increasing public participation in sports especially for those at a disadvantage due to disability, age, financial hardship or gender. - Utilising sports to enhance the skills and life chances of disadvantaged groups. - Providing recreational facilities, or the organising of recreational activities, with the object of improving the conditions of life for those utilising the facilities/activities. - Promoting a community's social history. Grassroots organisations, local charities and non-profit community businesses that are seeking to effect positive change within their local area in England, Scotland and Wales are eligible to apply. Grants range from £500 to £20,000 for those in Scotland and England and up to £10,000 for those in Wales. There will be two funding rounds in 2016. Applications will be accepted from 5 to 28 January 2016 and 1 May to 31 May 2016. The Millennium Stadium Charitable Trust is currently accepting applications from voluntary organisations in Wales that need funding for projects that serve their local community or town. Not-for-profit, properly constituted voluntary organisations, charitable organisations, groups of any age and voluntary groups working with local authorities across Wales have until 8 January 2016 to submit their application. - Sport - The Trust is keen to support volunteer-based projects, particularly from ethnic minorities and people with disabilities. In addition, the Trust recognises the difference that coaching can make to the development of a sport and is keen to fund equipment and coaching costs if the need has been clearly identified. - The Arts - The Trust aims to give more people the opportunity to enjoy the diversity of performing and visual arts in Wales. The Trust particularly favours proposals which expand and improve arts provision in parts of the country less well served than others and will give priority to organisations which strive to work together to share experiences, practices and ideas. - The Environment - The Trust encourages applications relating to recycling, developing green spaces, the development and promotion of green practices and the promotion of public transport schemes. Projects that improve the quality of Wales' environment, protect and create a vibrant countryside, and develop and promote sustainable land use planning will be a priority for support. The Trust aims to fund programmes that protect and enhance Wales' natural heritage and promote its sustainable use and enjoyment in a way which contributes to local economic prosperity and social inclusion. - The Community - The Trust will give priority to organisations that are looking to tackle social, personal, economic or cultural barriers within their own communities. In particular, projects that lead to greater independence and give people more control over their lives will be given priority. The Trust welcomes applications that give people a voice to express their needs and hopes. The Trust is keen to help disabled people to challenge barriers and to be active and visible in their local communities. Please note that paper based applications are no longer accepted. The next deadline for applications is 8 January 2016 (12 noon). Each has its own specific criteria and geographic area of benefit. You DO NOT need to apply for a specific scheme; our grants team will put your application forward to the most relevant fund. To support educational studies in forestry, agriculture and technical and vocational subjects in the arts or sciences. The Fund supports individuals and community/voluntary organisations based in Powys with precedence given to residents of Brecknockshire or those who have attended a Brecknockshire Secondary School for a minimum of 2 years. Grants of £500 for individuals and £1500 for groups are available. To support the education of residents of the former County of Brecknockshire in Powys. The Fund supports individuals and community/voluntary organisations based in Brecknockshire. Grants of £500 for individuals and £1500 for community and voluntary organisations are available. To provide facilities for recreation and leisure for the benefit of the inhabitants of Montgomeryshire with the object of improving the conditions of life for those inhabitants. Applications will be considered from community groups, voluntary organisations and local charities based in Montgomeryshire. Grants of up to £1000 are available. Applying for support If you think that you are eligible for trust fund support then please complete an application form and return it to us by the deadline in order to be considered. You do not need to specify which Fund you are applying to as we’ll ensure you are directed to the most appropriate scheme. There are two separate application forms depending on whether you are applying for a grant as an individual or on behalf of an organisation. Please make sure you complete the correct application form as the information we require differs. Please note, only applications for future activities will be considered for funding. We are unable to retrospectively support costs that have been incurred prior to the closing date for applications. Applicants should also be aware that preference will be given to individuals and organisations which have not received funding within the previous 12 months. If you require further clarification about eligibility or the application process itself, please phone 02920 379580 or emailing mail@cfiw.org.uk. Tesco Local Community Grants - DEADLINE 11TH DECEMBER!!! Grants of £8,000, £10,000 and £12,000 are available for open space improvements that benefit the community. Eligible projects include spaces such as pocket parks, school grounds, allotments, sports facilities, woodland walks and community gardens. The Charity Commission is seeking feedback on their draft revised guidance Charity fundraising: a guide to trustee duties (CC20). It’s a lot shorter than the current version, and makes it clear that trustees have a key role to play in setting their charity’s approach to fundraising, and in making sure that it reflects their charity’s values. The commission would particularly like to hear from trustees whose charity raises money from the public. You can give feedback on the Charity Commission’s consultation page where you’ll find the draft guidance and a questionnaire. The consultation closes on 11 February. Powys War Memorials Project 2014-2018: A Mark of Respect. Powys County Council secured funding from the Heritage Lottery Fund, Cadw (the Welsh Government's historic environment service) and the Brecon Beacons National Park Authority for the Powys War Memorials Project 2014-18: A Mark of Respect. The project, which coincides with the World War 1 centenary, is fully up and running. Identifying, mapping and recording all the war memorials in Powys. There are about 300 known war memorials in Powys. However, it is thought that there are considerably more than this. Encouraging and enabling local communities, including children and young people, to learn about World War 1, participate in the project and take responsibility for local war memorials. Toolkits, already produced by the project, will be accompanied by training to enable local communities to research and record information about war memorials, carry out condition surveys and contribute to a rolling programme of repairs, restoration and improvement. Developing a series of walks and trails that will enable people to explore the war memorials in Powys. Creating and maintaining an interactive website to share information about war memorials in Powys. Contributing to other World War 1 centenary projects, events and initiatives. Please contact Nathan Davies if you would like more information about the Powys War Memorials Project. It's Giving Tuesday, and it's not just about giving money, what about giving up some of your time? What do you think? Have stories about 'aggressive fundraising' made you think about how you donate?